Avatar K-9 offers testing for A.K.C. Canine Good Citizen. Started in 1989, CGC is a certification program that is designed to reward dogs who have good manners at home and in the community. The Canine Good Citizen Program is a two-part program that stresses responsible pet ownership for owners and basic good manners for dogs. All dogs who pass the 10-step CGC test may receive a certificate from the American Kennel Club. Many dog owners choose Canine Good Citizen training as the first step in training their dogs. The Canine Good Citizen Program lays the foundation for other AKC activities such as obedience, agility, tracking, and performance events. As you work with your dog to teach the CGC skills, you'll discover the many benefits and joys of training your dog. Training will enhance the bond between you and your dog. Dogs who have a solid obedience education are a joy to live with-they respond well to household routines, have good manners in the presence of people and other dogs, and they fully enjoy the company of the owner who took the time to provide training, intellectual stimulation, and a high quality life. We sincerely hope that CGC will be only a beginning for you and your dog and that after passing the CGC test, you'll continue training in obedience, agility, tracking, or performance events. 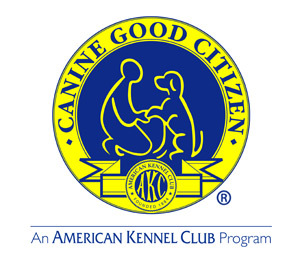 AKC’s Canine Good Citizen® (CGC) Program is one of the most rapidly growing programs in the American Kennel Club. There are many exciting applications of this wonderful, entry level that go beyond the testing and certifying of dogs. Many other countries (including England, Australia, Japan, Hungary, Denmark, Sweden, Canada, and Finland) have developed CGC programs based on the AKC’s CGC Program. A CGC Neighborhood Model has been established, police and animal control agencies use CGC for dealing with dog problems in communities, some therapy dog groups use the CGC as a partial screening tool, and some 4-H groups around the country have been using the CGC as a beginning dog training program for children. A number of specialty (one breed only) clubs give the CGC at their annual national dog show. Dog clubs have discovered that the CGC is an event that allows everyone to go home a winner. Veterinarians have recognized the benefits of well-trained dogs and there are some CGC programs in place in veterinary hospitals. State legislatures began recognizing the CGC program as a means of advocating responsible dog ownership and 34 states now have Canine Good Citizen resolutions. In a little over one decade, the Canine Good Citizen Program has begun to have an extremely positive impact in many of our communities. This is a program that can help us assure that the dogs we love will always be welcomed and well-respected members of our communities. 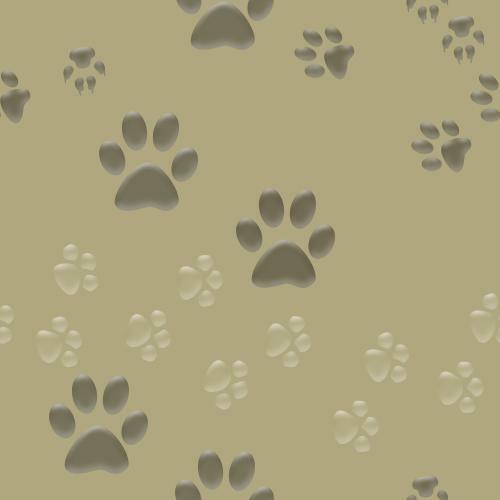 Before taking the Canine Good Citizen test, owners will sign the Responsible Dog Owners Pledge. We believe that responsible dog ownership is a key part of the CGC concept and by signing the pledge, owners agree to take care of their dog's health needs, safety, exercise, training and quality of life. Owners also agree to show responsibility by doing things such as cleaning up after their dogs in public places and never letting dogs infringe on the rights of others. This test demonstrates that the dog will allow a friendly stranger to approach it and speak to the handler in a natural, everyday situation. The evaluator walks up to the dog and handler and greets the handler in a friendly manner, ignoring the dog. The evaluator and handler shake hands and exchange pleasantries. The dog must show no sign of resentment or shyness, and must not break position or try to go to the evaluator. This test demonstrates that the dog will allow a friendly stranger to touch it while it is out with its handler. With the dog sitting at the handler's side, to begin the exercise, the evaluator pets the dog on the head and body. The handler may talk to his or her dog throughout the exercise. The dog may stand in place as it is petted. The dog must not show shyness or resentment. This practical test demonstrates that the dog will welcome being groomed and examined and will permit someone, such as a veterinarian, groomer or friend of the owner, to do so. It also demonstrates the owner's care, concern and sense of responsibility. The evaluator inspects the dog to determine if it is clean and groomed. The dog must appear to be in healthy condition (i.e., proper weight, clean, healthy and alert). The handler should supply the comb or brush commonly used on the dog. The evaluator then softly combs or brushes the dog, and in a natural manner, lightly examines the ears and gently picks up each front foot. It is not necessary for the dog to hold a specific position during the examination, and the handler may talk to the dog, praise it and give encouragement throughout. This test demonstrates that the handler is in control of the dog. The dog may be on either side of the handler. The dog's position should leave no doubt that the dog is attentive to the handler and is responding to the handler's movements and changes of direction. The dog need not be perfectly aligned with the handler and need not sit when the handler stops. The evaluator may use a pre-plotted course or may direct the handler/dog team by issuing instructions or commands. In either case, there should be a right turn, left turn, and an about turn with at least one stop in between and another at the end. The handler may talk to the dog along the way, praise the dog, or give commands in a normal tone of voice. The handler may sit the dog at the halts if desired. This test demonstrates that the dog can move about politely in pedestrian traffic and is under control in public places. The dog and handler walk around and pass close to several people (at least three). The dog may show some interest in the strangers but should continue to walk with the handler, without evidence of over-exuberance, shyness or resentment. The handler may talk to the dog and encourage or praise the dog throughout the test. The dog should not jump on people in the crowd or strain on the leash. This test demonstrates that the dog has training, will respond to the handler's commands to sit and down and will remain in the place commanded by the handler (sit or down position, whichever the handler prefers). The dog must do sit AND down on command, then the owner chooses the position for leaving the dog in the stay. Prior to this test, the dog's leash is replaced with a line 20 feet long. The handler may take a reasonable amount of time and use more than one command to get the dog to sit and then down. The evaluator must determine if the dog has responded to the handler's commands. The handler may not force the dog into position but may touch the dog to offer gentle guidance. When instructed by the evaluator, the handler tells the dog to stay and walks forward the length of the line, turns and returns to the dog at a natural pace. The dog must remain in the place in which it was left (it may change position) until the evaluator instructs the handler to release the dog. The dog may be released from the front or the side. This test demonstrates that the dog will come when called by the handler. The handler will walk 10 feet from the dog, turn to face the dog, and call the dog. The handler may use encouragement to get the dog to come. Handlers may choose to tell dogs to "stay" or "wait" or they may simply walk away, giving no instructions to the dog. This test demonstrates that the dog can behave politely around other dogs. Two handlers and their dogs approach each other from a distance of about 20 feet, stop, shake hands and exchange pleasantries, and continue on for about 10 feet. The dogs should show no more than casual interest in each other. Neither dog should go to the other dog or its handler. This test demonstrates that the dog is confident at all times when faced with common distracting situations. The evaluator will select and present two distractions. Examples of distractions include dropping a chair, rolling a crate dolly past the dog, having a jogger run in front of the dog, or dropping a crutch or cane. The dog may express natural interest and curiosity and/or may appear slightly startled but should not panic, try to run away, show aggressiveness, or bark. The handler may talk to the dog and encourage or praise it throughout the exercise. This test demonstrates that a dog can be left with a trusted person, if necessary, and will maintain training and good manners. Evaluators are encouraged to say something like, "Would you like me to watch your dog?" and then take hold of the dog's leash. The owner will go out of sight for three minutes. The dog does not have to stay in position but should not continually bark, whine, or pace unnecessarily, or show anything stronger than mild agitation or nervousness. Evaluators may talk to the dog but should not engage in excessive talking, petting, or management attempts (e.g, "there, there, it's alright"). All tests must be performed on leash. Dogs should wear well-fitting buckle or slip collars made of leather, fabric, or chain. Special training collars such as pinch collars, head halters, etc. are not permitted in the CGC test. We recognize that special training collars may be very useful tools for beginning dog trainers, however, we feel that dogs are ready to take the CGC test at the point at which they are transitioned to regular collars. The evaluator supplies a 20-foot lead for the test. The owner/handler should bring the dog's brush or comb to the test. Owners/handlers may use praise and encouragement throughout the test. The owner may pet the dog between exercises. Food and treats are not permitted during testing, nor is the use of toys, squeaky toys, etc. to get the dog to do something. We recognize that food and toys may provide valuable reinforcement or encouragement during the training process but these items should not be used during the test. Any dog that eliminates during testing must be marked failed. The only exception to this rule is that elimination is allowable in test Item 10, but only when test Item 10 is held outdoors. Any dog that growls, snaps, bites, attacks, or attempts to attack a person or another dog is not a good citizen and must be dismissed from the test. March graduating AKC CGC class.